We offer to you here approx. 500 gr. (mostly a little bit more, we cut generously) of a real half-fat Tilsit, made after traditional prescription of daily freshly put raw milk and high-class-checked rennet. The half-fat Tilsit is a mild, fat-diminished (max. 35% F.i. T.) cut cheese with pea-shaped punching whose ripening period amounts at least 6 weeks. 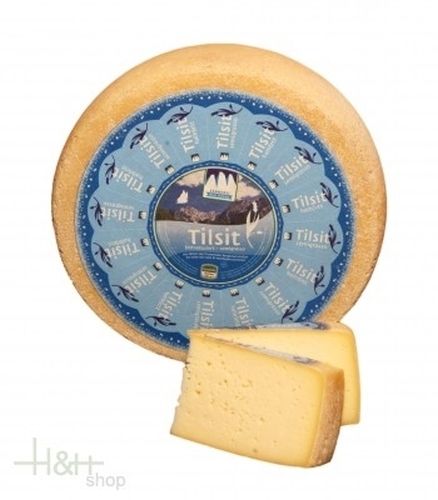 The half-fat Tilsit is suited for all nutrition-conscious cheese lovers, because cheese taste exists also with less fat salary. A small prescription tip: Cut this Tilsit in steady cubes and bread (how with the Viennese cutlet: first the cubes in the flour, egg and turn them in breadcrumbs) this in hot oil. Really tasty! 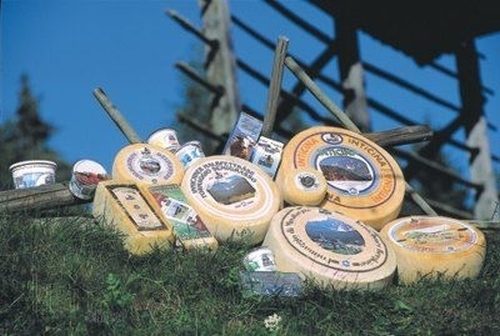 On sale all cheese pieces are freshly cut and packed subsequently airtight. Thus we guarantee for full quality and a safe transport at your home. Mignolo Cheese Eggemairhof Eggemoa approx. 300 gr. 10,70 EUR / 35,67 €/kg. Deutschnofner caraway cheese cheese dairy Learner ap. 850 gr. 29,70 EUR / 34,94 €/kg.